Grace when she first arrived. When you have 98 children under the age of 5 there are very few weeks without hospital, clinic or visit to the nurse. This week was a tough one though when we discovered that our little girl Grace had undiagnosed hydrocephalus and then had a brain bleed when she accidently bumped her head, which quickly lead to emergency surgery to put a shunt in her head to drain the fluid that had built up over a year. Grace came to us when she was 18-months old. She was a sick baby and her mother couldn't handle a sick baby so she left Grace on the side of the road with a note attached saying, “ My baby is sick. I am going to see my boyfriend”. And she left. Someone found Grace on the road, recognized her and took her to her Grandfather’s house. He in turn sent her to the hospital with an Aunt and by the time they arrived Grace was in a coma. This poor little girl had meningitis, Tuberculosis and pneumonia. A week later, she came out of her coma and was blind. We have a policy about not accepting disabled children, but we were not told that she was blind or severely disabled when she was placed with us by the Social Welfare department, mainly because they didn’t know either. That has happened a couple of times and I can only see it as Gods’ way of making sure that the children HE is placing at Project Canaan are accepted, rules or no rules. It’s as if HE sneaks them past us. My friend Sandra Stanley was with us when Grace was placed in our care and it was Sandra who gave the child the English name “Grace” because this baby had been so sick and through so much, Sandra said that it was His Grace that would see her through. She is a sweet baby who really struggled in the first year she was with us. She was carried everywhere because she couldn’t walk, crawl or even sit and while we believed that she was starting to see something, she is almost completely blind. She was taken to Physical Therapy religiously every week and was doing her exercises daily to try to build core strength. Clearly her Cerebral Palsy has affected her whole body. 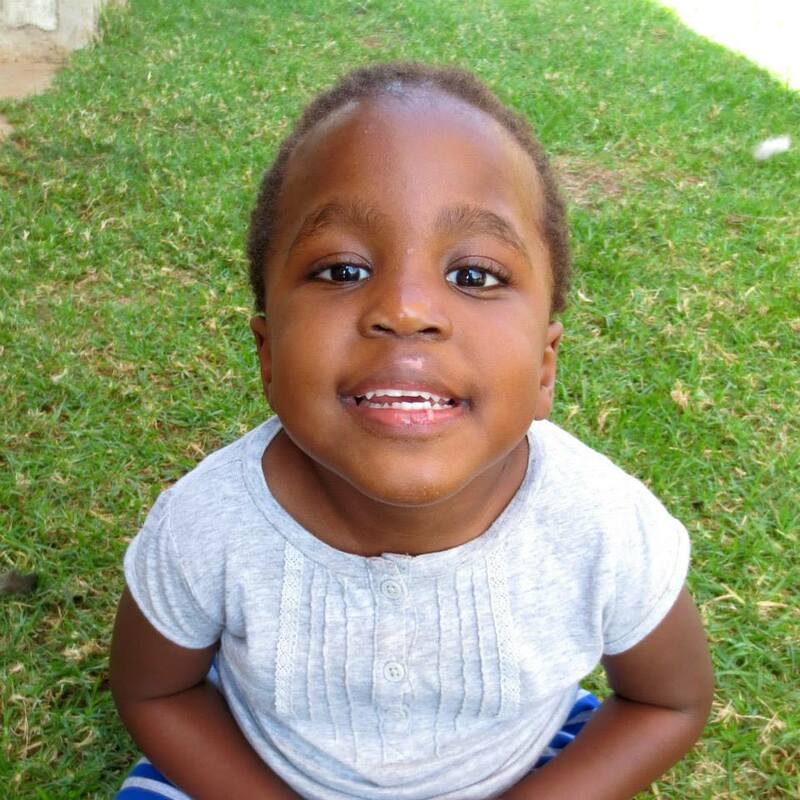 We wondered if she might also suffer with hydrocephalus, but a CT scan two years ago showed that our concerns were unwarranted. 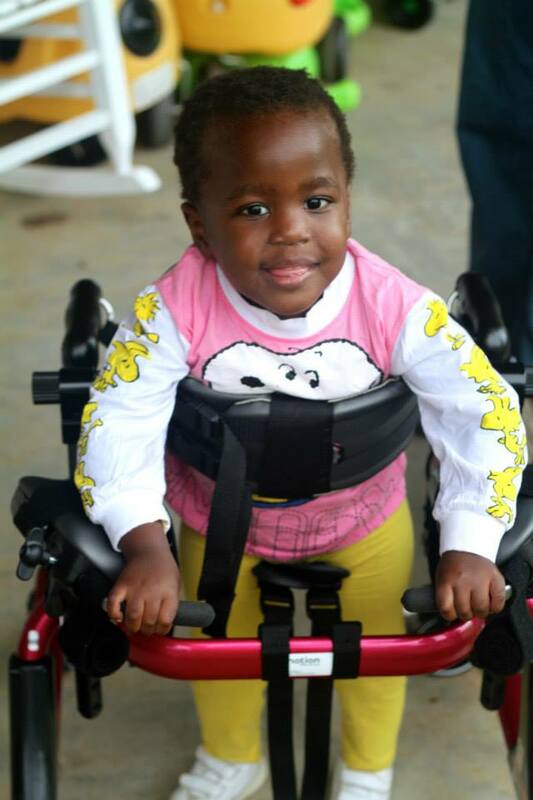 A wonderful friend and Heart for Africa supporter offered to get Grace a specially made walker (as in a $2,000 US custom-made walker!) and it has been life-changing for Grace. She was first strapped in to it as her core-strength was very poor, but within weeks she was running up and down the toddler home halls in her “car” as they call it. She was standing at the same height as her brothers and sisters and they could now play and interact with her as they had not been able to do before. It was beautiful to see. In no time Grace was walking with her walker, but not strapped in. She can walk/run only holding the handles and her strength is building daily. Last week she had a random bump on the head. She needed 3 stitches at our clinic, but all in all it was a typical childhood injury. After a few days it was reported that she was vomiting and her right hand was shaking. Our volunteer Nurse Practioner from the US (Brooke) immediately took her to town to see our Pediatrician. The Pediatrician immediately sent her to a hospital with a Neurosurgeon. The Neurosurgeon did a CT scan, which revealed Cerebrospinal fluid (CSF) that had been building for possibly one year. The bump on the head caused internal bleeding on an otherwise already compromised situation and within hours of seeing the surgeon, our beautiful little Grace was having emergency brain surgery to have a shunt put in. I can’t begin to put words to how we all felt and feel about this. I can’t imagine this happening to my own biological children and how I would feel – I know I would be frantic. But there is something quite different when this happens to a child that you have been given a God-given and government-given responsibility to care for. I was sick to my stomach, but reached out to our prayer circle to join with us praying for favor and healing. On Tuesday Brooke went to see Grace and took in clothes for her to wear (we did not travel the day before expecting her to be admitted in to the hospital). The hospital had her in an adult diaper and nothing else. As soon as they started to put her soft clothes on she starting talking fast in siSwati saying, “Oh, they are clothing me!” (SO CUTE!) Only 5-days later she came back home to us with a draining shunt in place and a joyous welcome by her brothers and sisters (and Aunts and Uncles!). Thank you Treasure - you are a gift to us all. Ian and I are problem-solvers so we will work diligently with the team to improve our systems and training, but at the end of the day, the Lord stepped in and saved this little girl’s life, again. I wonder what He has in store for our beautiful Grace. Live from Swaziland … things aren’t always easy here, but El Roi sees it all. That was quite shocking, to say the least. Some illness tend to sneak up on you when you least expect it. And the trickiest of them all are the damages to the brain, such as that brain bleed. It was a relief that you were able to spot it, and take the right precautionary measures at the hospital. Take care! We now have 100 children under the age of five.